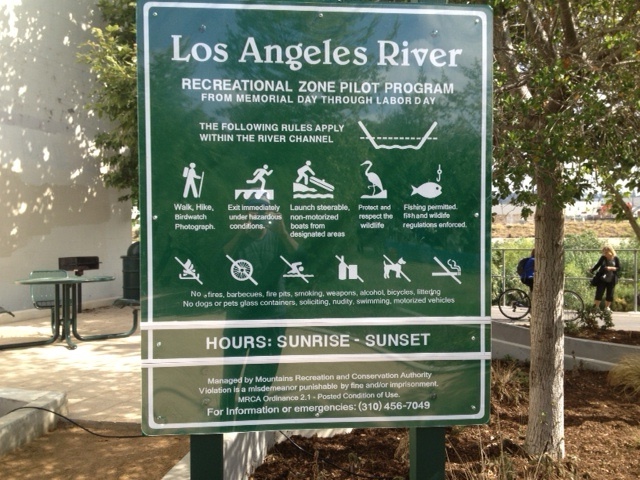 The LA River opened today for kayakers and other river types and, well, that’s a pretty darn amazing thing. Just a few years ago folks who tried to use the river were cited/ticket/arrested – it was ugly. But common sense has prevailed. While what happened to the LA River is at best unconscionable, it is better to look forward than look back. Someday, soon, Angelenos will be able to head on down to the river and, and while respecting the natural and built environment, have some fun. If you want to get baptized this summer then visit the good people at http://www.lariverexpeditions.com to arrange your dipping.